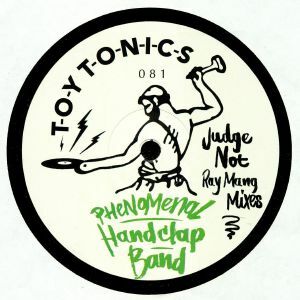 New York psychedelic soul/stoner disco fusionists Phenomenal Handclap Band have been rather quiet of late, with this surprise single on Toy Tonics marking the New York combo's first outing for 18 months. Curiously, there's no original version of "Judge Not" for us to assess, just three reworks from disco stalwart Ray Mang. They are, though, extremely good. The A-side "Special Remix" is particularly potent, with Mang lacing the band's breezy, gospel-influenced vocals and killer pianos solos over a lolloping West Coast disco groove. 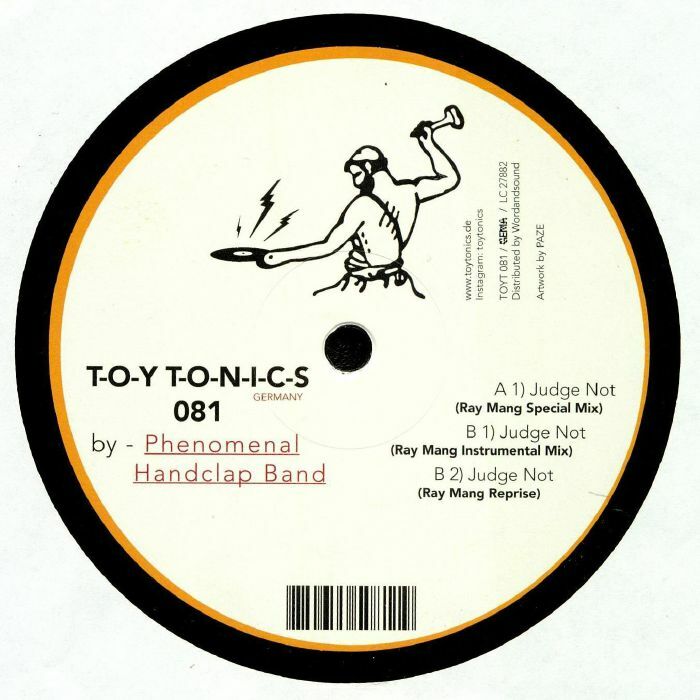 Those pianos take pride of place on the dub disco style flipside "Reprise Mix", which may well be our pick of a very strong bunch, and on the sweaty, dancefloor-ready "Instrumental" version.